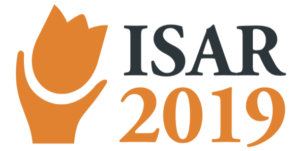 From Saturday the 1st of June until Monday the 3rd of June 2019, ISAR 2019 will take place in Leiden in The Netherlands. All information concerning the congress can be found on this page. At this page, you can register for ISAR 2019. Until the end of March 2019, delegates enjoy an early bird registration fee of €600,-. This includes the three day scientific program and all social events. Please write down the name of the hospital or institution you work. This will be showed on your name badge during the congress. Included in your registration is the three-day scientific program and all social events. Your can bring an accompanying person to the social events on saturday and sunday evening. Delegates of ISAR 2019 enjoy reduced prices in the following hotels: City Resort Leiden, Boutique hotel D'Oude Morsch, Steenhof Suites. For bookings in one of the boutique hotels, please go to the 'hotel' tab on this webpage AFTER finishing your registration. I don't need a hotelroom on Thursday night. I don't need a hotelroom on Friday night. I don't need a hotelroom on Saturday night. I don't need a hotelroom on Sunday night. I don't need a hotelroom on Monday night. In case you choose to stay in one of the boutique hotels, please let us know what room you prefer. We will inform you as soon as possible upon availability. Please note that we have no rooms left in Steenhof Suites anymore. Should you have any remarks, please let us know. A creditcard fee of 3.7% applies. Excel requires 3 months cancellation notice prior to the start of the event, otherwise we will charge you a cancellation fee. Full refund of your registration fee applies if the cancellation of your registration is made 3 months prior to the start of the event. Thereafter until 1 month prior to the start of the event a cancellation fee of 25 euro will apply. Cancellations made until 1 week before the start of the event will cost 30 euro. No refunds at any time will be given for cancellations made within 1 week prior to the event. Only cancellation made in writing will be accepted. 1. Registration for participation in an Event must be done by filling out the registration form, which can be obtained on the online event page of the Event. The registration form must be filled out completely. 2. The Registree guarantees that the information provided with his registration is accurate. 3. Excel records the data obtained from the Registration form in an administration. With his registration, the Registree has given permission for the use and storage of this data. 4. The Registree must pay the Registration Fee within the terms of payment as stated in the invoice. If the payment is not completed within the set time frame, the registration will be deleted. Information regarding submission of abstracts – please look at the ISAR website. Abstracts should be sent to: info@isarhome.org. 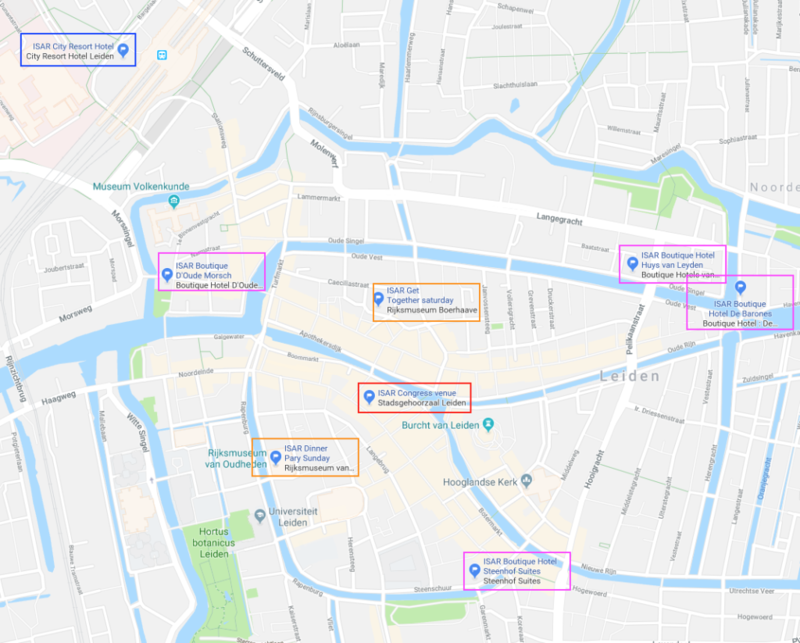 ISAR 2019 will be in Leiden, The Netherlands.It is easily accessible through Amsterdam International Airport, which is just 15 minutes away and Rotterdam The Hague Airport at 25 minutes travel time. 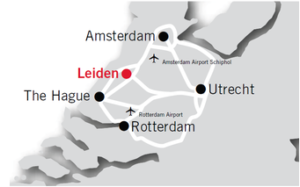 Trains from Schiphol Airport to Leiden Central Station go six times per hour. Travel time is approximately 15 minutes. The congress venue is marked in a red box on the map below. The blue box is the City Resort Hotel, which can be booked via the registration form. All pink boxes are the available boutique hotels. The yellow boxes show where the ‘Get Together’ on Saturday and the Dinner Party on Sunday take place. Several events will be organised during ISAR 2019. On Friday the 31st of May, from 4 – 7 PM the mayor of Leiden will welcome all ISAR 2019 delegates in the town hall of Leiden. The informal Get Togheter on Saturday 1 June 2019 will take place in ‘Rijksmuseum Boerhaave’. The event venue is only at 4 minutes walking distance from the congress venue. ISAR is proud to host the ‘Get Together’ in Rijksmuseum Boerhaave. The museum is the Netherlands’ treasure chamber of science and medicine. Enjoy some drinks with your peers and feel free to visit the museum. On Sunday evening, the second of June 2019, a dinner will take place in ‘The National Museum of Antiquities’ in Leiden. All delegates of the congress and their partners are invited for this special evening. The event venue is only at 5 minutes walking distance from the congress venue and at 13 minutes walking distance from City Resort Leiden. The National Museum of Antiquities brings archaeology and the ancient world to life. At our museum, everyone can discover the age-old civilizations of Egypt, the Classical World, the ancient Near East, and the Netherlands – in prehistoric, Roman, and medieval times. Wake up with a view on the dune tops of the North Sea shore or with a beautiful panorama on the old village of Leiden city. The hotel is easily accessible because of the perfect location next to Central Station. In the multifunctional building Level, which is known because of its special layered form of architecture, Hotel Leiden, a unique hotel with 120 comfortable four-star hotel rooms, suites, and apartments. City Resort Leiden is at 13 minutes walking distance from the congress venue ‘Stadsgehoorzaal’. All rooms at City Resort Leiden on Thursday and Monday are sold out. Please note that city tax is not included yet. Bookings can be made via the registration form. Boutique Hotel d’Oude Morsch: a historical but contemporary hotel on the edge of the centre of Leiden. With the shopping street, museums and the station around the corner you are close to everything. Parking is possible across the street of the hotel. D’Oude Morsch is at 8 minutes walking distance from the congress venue ‘Stadsgehoorzaal’. All rooms at D’Oude Morsch are sold out. Prices are excluding city tax (€ 2,50 per person per night) and breakfast(€ 14,50 per person per day). One of Leiden’s oldest listed buildings, ’t Bruggehoofd at Steenschuur, has been given a grand new purpose … Steenhof Suites. This historic place practically begs you to a stay in an atmosphere of romance and homeliness. You will feel like you have stepped back in time, in the days of the Dutch masters and horse and carriage. Steenhof Suites is at 6 minutes walking distance from the congress venue ‘Stadsgehoorzaal’. All rooms at Steenhof Suites are sold out.